I love my BlackBerry Bold. It’s almost like my mobile office because it lets me stay in the loop without being tethered to my computer. I can read and respond to e-mails, participate in social networks, view and edit documents, manage tasks and read blogs. And that’s just a few of the ways I use my BlackBerry! Here are 21 BlackBerry applications you may want to add to your device to make yourself more accessible and productive (and have some fun, too). 1. Documents To Go – View, edit and create Microsoft Word, Excel and PowerPoint files and attachments on your BlackBerry ($69.99). 2. Empower InstaSpell – In-line spell checker that integrates with most native BlackBerry apps ($15). 3. eOffice 4.6 Mobile Office Suite – Access, manage and edit Microsoft Word, Excel, and PowerPoint files ($29.95). 4. File Manager Pro – Manage files on your BlackBerry; open, create, extract and append Zip archives ($11.95). 5. Opera Mini – Browse the Web with this mobile browser (free). 6. Bluetooth File Sharing – Share files via Bluetooth protocol ($9.95). 7. Evernote for Blackberry – Capture photos, notes, and voice memos and sync with your Evernote account on your desktop (free). 8. Gmail – Manage multiple Gmail accounts on your BlackBerry (free). 9. Google Sync – Synchronize the calendar and address book on your BlackBerry with your Google account (free). 10. 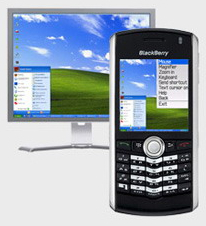 RDM+: Remote Desktop for Mobiles – Remotely access your computer from your BlackBerry ($39.95). 11. SugarSync – Access, update and synchronize files from your desktop (free with SugarSync backup service, starts at $4.99/mo). 12. Viigo RSS Reader – Follow all of your favorite RSS feeds on your BlackBerry (free). 13. Facebook – Connect and manage your Facebook account on your BlackBerry (free). 14. Flickr – Take pictures on your BlackBerry and upload right to your Flickr account (free). 15. IM+ All-in-One Messenger – Chat through all of your IM accounts, including AIM/iChat, MSN/Windows Live Messenger, Yahoo!, ICQ, Jabber, Google Talk, MySpaceIM, Facebook and Skype ($39.95). 16. Twitterberry – Post and read Twitter updates (free). 17. Bubble Burst – Play an addictive color matching game ($2.99). 18. 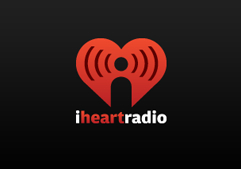 IHeart Radio – Stream more than 350 Clear Channel radio stations on your BlackBerry (free). 19. Pandora – Stream personalized music on your BlackBerry (free). 20. Sudoku Master – Play Sudoku with varying levels of difficulty ($14.95). 21. TV Guide Mobile – Get television listings, movie reviews and entertainment news (free). 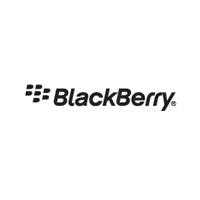 There are thousands of other useful BlackBerry apps…what’s your favorite?